For “Stranger Things” fans who can’t get enough of the hit Netflix series, the streaming network has launched a new talk show hosted by Jim Rash called “Beyond Stranger Things.” On the series, Rash is joined by cocreators The Duffer Brothers and executive producer Shawn Levy, along with a rotating set of the cast. Thanks to their conversations, plus interviews over the years, we’ve been able to roundup behind-the-scenes facts about the writing and production of the series. 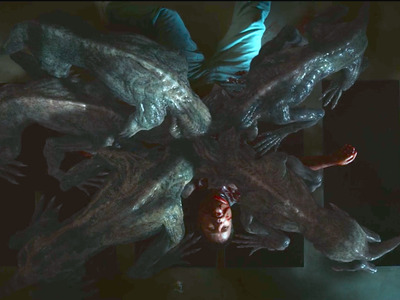 The Upside Down was called the Nether in every season one script and on set. Will Byers has a mysterious connection to the Upside Down. 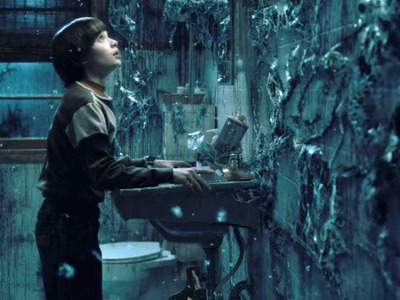 As The Duffer Brothers revealed on 'Beyond Stranger Things,' the Upside Down was referred to as the Nether in the original scripts and even on set during the first season's filming. But once series aired and fans honed in on the language used when Eleven and the boys flip over the Dungeons and Dragons board, the term Upside Down stuck. The Demogorgon was a real guy in a giant suit for the first season. 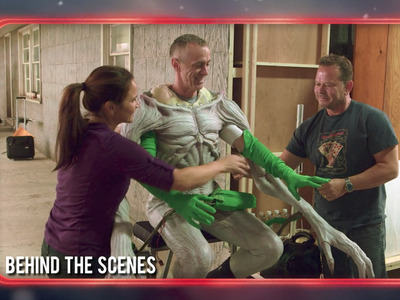 While season two included plenty of special effects and CGI, the first season's Demogorgon was a man wearing a monster suit and small stilts and small amounts of green clothing so his real arms could be made invisible in the finished scenes. 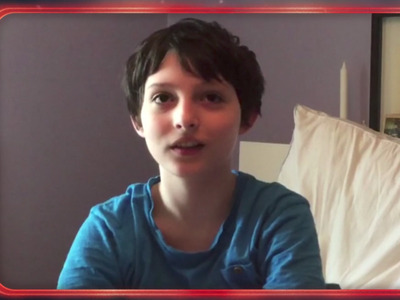 Finn Wolfhard filmed his audition tape from his bed because he was so sick at the time. On the first episode of 'Beyond Stranger Things,' host Jim Rash shares several clips of Finn Wolfhard (Mike), Gaten Matarazzo (Dustin), Caleb McLaghlin (Lucas) and Millie Bobby Brown (Eleven) auditioning for the series. Wolfhard's entire audition tape, recorded when he was just 11 years old, was filmed from his bedroom because he was really sick. The Duffer Brothers used lines from Steve Spielberg's 'E.T.' to audition the young actors. Matarazzo's audition tape for Dustin. 'Stranger Things' is packed with references to '80s movies (which we've rounded up here), and 'E.T.' is one of those central homages. Turns out The Duffer Brothers actually used a scene from 'E.T.' in order to test the young actors. The scene quoted in their tapes is from when Elliot, the young protagonist of 'E.T.,' is about to show his older brother the alien for the first time. 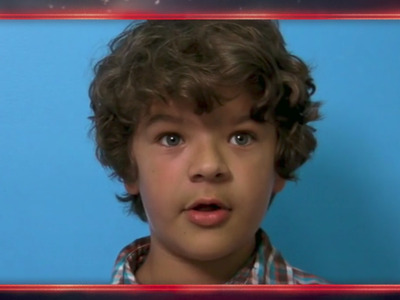 The Duffer Brothers wrote in actor Gaten Matarazzo's cleidocranial dysplasia for his character. Matarazzo has a mild form of cleidocranial dysplasia, which is why he has no front teeth. Cleidocranial dysplasia is a condition which affects bone and teeth development. 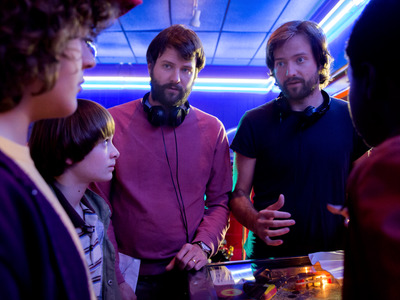 Matarazzo has a mild form of it, and The Duffer Brothers chose to write in this aspect of his life for the character of Dustin. 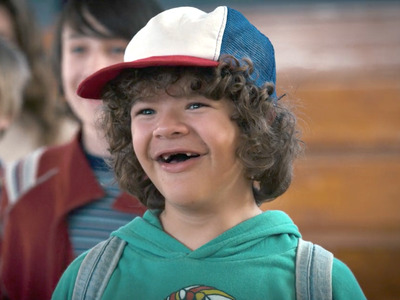 By the second season, Dustin has teeth, but Matarazzo told a TMZ reporter that those new pearls are actually fake. Speaking of Matarazzo, did you know he and Caleb McLaughlin (Lucas) were Broadway actors prior to landing the gig with 'Stranger Things'? At the same time in 2014, Matarazzo played Gavroche in 'Les Misérables' while McLaughlin was Young Simba in 'The Lion King' on Broadway. The two young actors became friends through their Broadway connection before starring in 'Stranger Things' together. 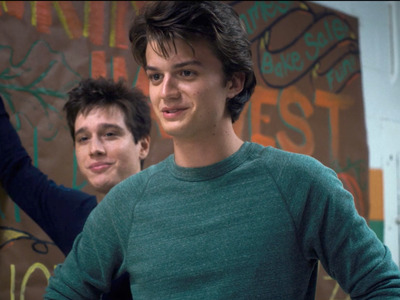 Steve was supposed to remain a stereotypical '80s bully, but The Duffer Brothers rewrote the character after meeting Joe Keery. 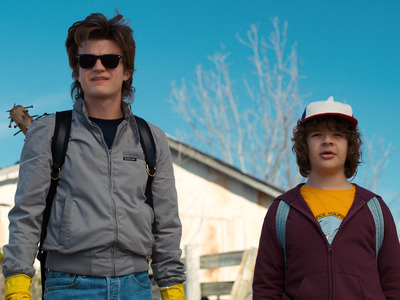 Similar to Matarazzo's impact on the character of Dustin, The Duffer Brothers reworked their idea for Steve after casting Keery. On the first episode of 'Beyond Stranger Things,' Millie Bobby Brown and Finn Wolfhard surprised The Duffer Brothers by revealing that Wolfhard was actually talking during the Snow Ball kiss scene that appears in the season two finale. In order to time the take just right, Wolfhard warned Brown that he was about to kiss her. 'Yeah I swear to God if you look closely I'm pretty sure you can see me talking to her,' Wolfhard added. 'Stranger Things' was originally meant to be set in Montauk, New York. 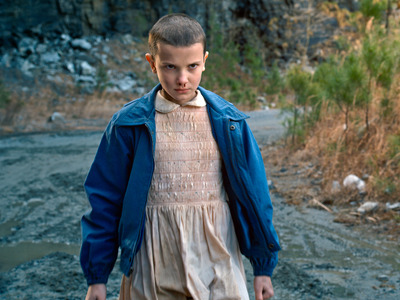 We can't imagine 'Stranger Things' in a beach town. After season one aired, The Duffer Brothers held a phone conference where they revealed how the budget for the show changed the setting. They instead landed on Indiana as the setting, and primarily film in Atlanta, Georgia. The Duffer Brothers called the second season 'Stranger Things 2' because they want viewers to think of each season as one long movie. Millie Bobby Brown really shaved her head for season one, but used a bald cap with CGI hair for season two. Brown shaved her hair off for season one's traumatic scenes. Once 'Stranger Things' had premiered, Brown tweeted a video of her hair being shaved off in preparation for filming her scenes as Eleven. Then she grew her hair out into its natural brown curls for season two. This meant she needed to wear a bald cap and have her buzzed hair CGI'ed on for some of the flashback scenes sprinkled throughout the second season. 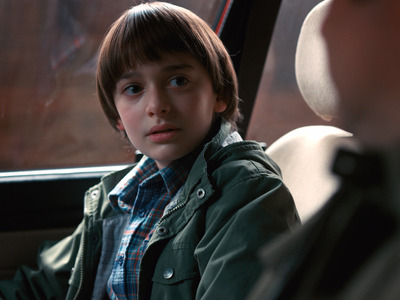 Noah Schnapp wore hair extensions for season two, because his natural hair was too short for Will's bowl cut look. Schnapp stars as Will Byers, and though his hair was cut into the iconic 80s bowl-cut for season two, he had to wear a wig in order to pull off the same look for the second season. The above Instagram photo was shared by 'Stranger Things' hairstylist Sarah Hindsgaul. Noah Schnapp and Millie Bobby Brown are two of the closest cast members off set, even though they have never shared a scene with dialogue together. As The Duffer Brothers point out on episode seven of 'Beyond Stranger Things,' Schnapp and Brown are the best of friends in real life. Brown said she hopes they share a real scene on the show soon, since so far Will is always unconscious when Eleven is around. The directors play creepy music on set to help the younger actors get into the right mood. Shawn Levy has directed several episodes in addition to producing the series. 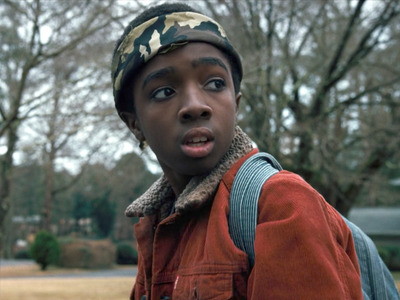 On episode three of 'Beyond Stranger Things,' he explained why he'll play eerie music during shooting if he needs to get the younger actors into character. 'Playing music on set is sometimes just a good visceral way to give the actors a sense of what you're looking for,' Levy said. Keery confirmed that director Andrew Stanton used the same tactic, and played the score from 'Close Encounters of the Third Kind' during the Demodog junkyard showdown filming. That awkward egg drop moment between Nancy, Jonathan, and Murray was partially improvised. On episode four of 'Beyond Stranger Things,' Natalia Dyer (Nancy) and Bret Gelman (Murray Bauman) discussed struggling filming their breakfast scene. Though Murray's 'how was the pull-out?' joke was scripted, Gelman said he accidentally dropped the eggs but they went with that take anyways. If you rewatch the moment above, you can see Dyer just barely keeping it together as she laughs into her fork. Bob Newby (everyone's favourite new superhero) was meant to die on episode four, and the Mind Flayer was going to kill him by using Will. Will originally killed Bob in this car scene from season two, episode four. The scene was meant to come when Will and Bob were driving to school together, but Sean Astin's performance as Bob and personal desire for him to have a 'heroic' death led to them rewriting the character. Bob's eventual death was also almost more violent. One unused take had Sean Astin filling his mouth with fake blood and coughing it up like a geyser. Bob (Sean Astin) was killed by the Demodogs in Hawkins Lab. 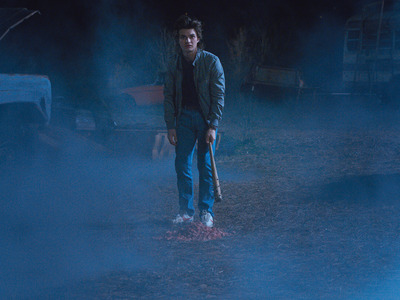 In that same 'Beyond Stranger Things' episode, Matt Duffer said there was an unused take of Bob's death that had him violently coughing up blood as the Demodogs ate him. Another cool behind-the-scenes aspect of Bob's death is that one of the show writers was the stand-in for the Demodog. Katy Trefery happened to be on set when they were filming Bob's death, and The Duffer Brothers realised she was about the right size for a Demodog. 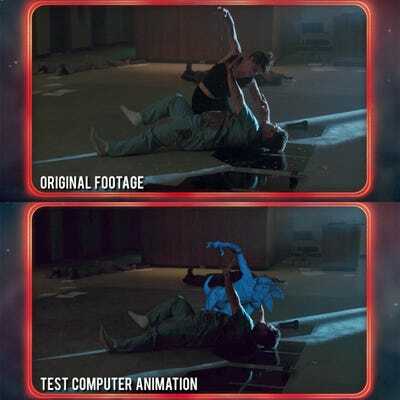 They had her sit over Sean Astin and attack him like a Demodog in order to accurately CGI the monster in later. They used the dummy version of Noah (Will) from season one to film the dramatic exorcism scene on season two. On the season two finale, Will Byers undergoes a sort of exorcism that involves a lot of brutal shaking and even being stabbed with a fire poker. Part of the season one plot involved a fake corpse of Will Byers, so they used that same dummy in order to realistically create aspects of the exorcism scene. For more on 'Stranger Things,' including 11 details you might have missed on season two, follow INSIDER's coverage here.